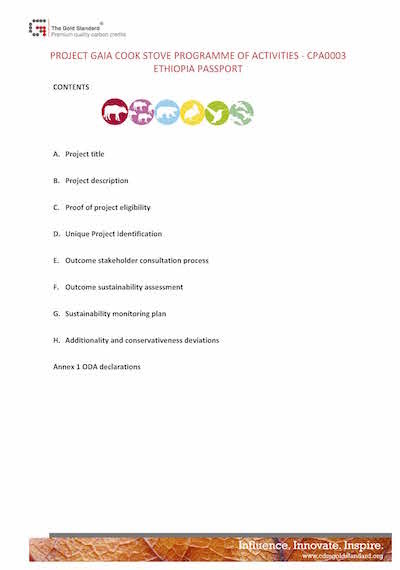 February 24th, 2016 - Project Gaia Inc. in conjunction with Carbon Africa Limited would like to invite input from all stakeholders for the Gold Standard Stakeholder Feedback Round for the Project Gaia Cook Stove Programme of Activities (PoA) CPA0003 in Ethiopia. The CPA will focus on the distribution of energy efficient cook stoves powered by ethanol from renewable sources. The stoves will be distributed in households within refugee camps in Ethiopia. Send your comments to Martha Jepkirui email: martha@carbonafrica.co.ke or Elijah Isabu email: elijah@carbonafrica.co.ke by 24th April 2016.